NOTE! The exhibition Prehistories will be temporarily closed during the period January 29 to February 22 due to renovations in the museum. In the exhibition Prehistories history is made up of many different stories. Find out about eight thrilling life stories. These people lived in the Stone Age, the Bronze Age or the Iron Age. Finds and objects help us to answer questions such as: What were relationships like between men and women? What was their view of death? What did they do? How did different groups in society live? How did Roman objects end up in Swedish graves? 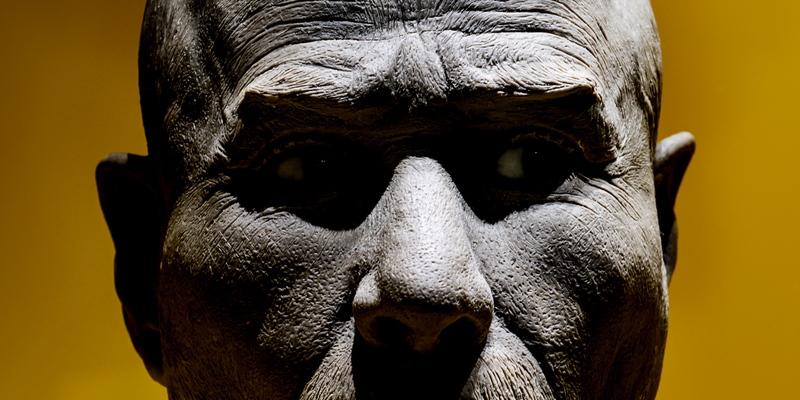 The more finds we discover, the more we learn about prehistory. The exhibition presents new interpretations of ancient finds. You will find the exhibition Prehistories at the ground floor. 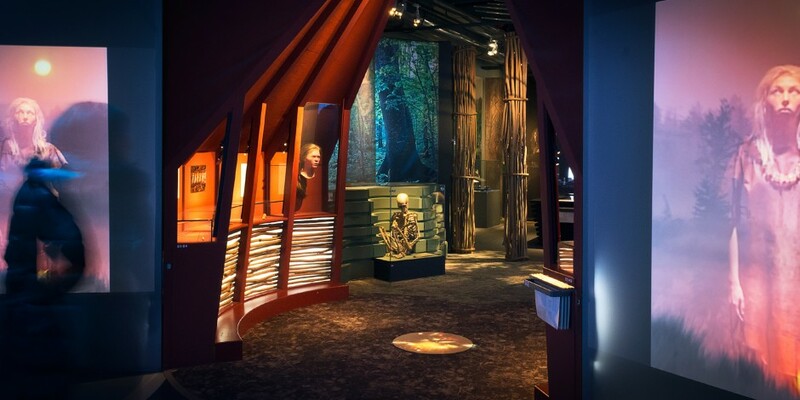 In the first part of the Prehistories exhibition, you walk through the earliest history, long before Sweden as we know it today existed. You will meet various people, read about their fates and see artefacts from the places where they lived. One of the oldest known women in Sweden was buried one spring day about 9,000 years ago at Barum (Bäckaskog) in Skåne. During the ceremony she was placed in a pit with her legs drawn up and her hands in front of her breast, just as you see her now. When excavated in 1939, she was taken for a man at first, because the grave contained hunting weapons. But skeletal analyses by osteologists (bone experts) later disproved this. Modern excavations have revealed that women at that time often went hunting and fishing, as well as gathering. In this exhibition you will also meet an elderly man and a small child who lived in the 6th millennium BC at Skateholm, east of the town Trelleborg. They were buried together. The man lies as if sleeping, facing the child, who has been powdered with red ochre, which archaeologists take to be a symbol of life. Later on in early agricultural communities people’s need of communal monuments and memorials was clearly testified. Selected individuals were buried in large stone chamber tombs. You can find such a grave from western Sweden on display here. The grave is a passage tomb in which over a hundred people were buried in the course of 800 years, between about 3500 and 2700 BC, making about two persons per generation. More permanent, agricultural settlement enabled people to accumulate more material wealth. Pottery in many forms and with many different kinds of decoration became popular, not only as storage, cooking vessels and “tableware” but also as a manifestation of social standing. Contacts with the outside world were steadily intensified from the 3rd millennium BC onwards. This can be seen from the possessions of an upper class which became established in the 18th century BC. They were buried in great barrows (tumuli), in keeping with the ideals of the new age, along with jewellery and weapons of bronze and gold. The male grave goods included swords, which were an innovation. The objects were often big and flashy, richly decorated with spirals and abstract patterning. The wealth of this upper class was probably based on control of metal imports; no metals were extracted in Scandinavia itself. The social structure which now came into being has, in various forms, survived well into historical times. The artefacts you see in the exhibition were status symbols betokening power and affluence, and some of them were sacrificed to gods and goddesses. They have been found in bogs and lakes. The art of bronze casting came to Scandinavia in about 1800-1700 BC, and traces have been unearthed on many settlement sites. You can see clay crucibles, for melting copper and tin, as well as soapstone casting moulds. Aside from metals, the population went on using stone, wood and horn for making its implements and other artefacts all through prehistory. People communicated with each other, and probably also with the gods, through a pictorial language, rock carvings. These are to be found on many outcrops in the landscape or on boulders, like the one shown here, from Öland. The boulder shows horse-like animals and a ship with people on board. At the very top you see a circular figure, and at the sides a large number of tiny cavities (cup marks) have been gouged out. The circular figure is usually taken to be a solar symbol, while the cup marks are believed to have had a more general magical significance. Real writing, in the form of runes, can be seen on the stones from Blekinge and Gotland. Runic script goes back nearly 2,000 years. It is believed to have been inspired by the Latin alphabet, buts its alphabetical order is quite different, suggesting that runes were devised at some distance from the Roman Empire, perhaps in south Scandinavia. Next to the stones you see a young woman’s burial from Gårdlösa in Skåne. She wore a silver fibula (costume pin) with the name “ek unwodz” (I Unvodz) scribed in runes on the back. We do not know whom this name refers to – perhaps the young woman, perhaps the person who made the fibula, or perhaps the fibula itself? 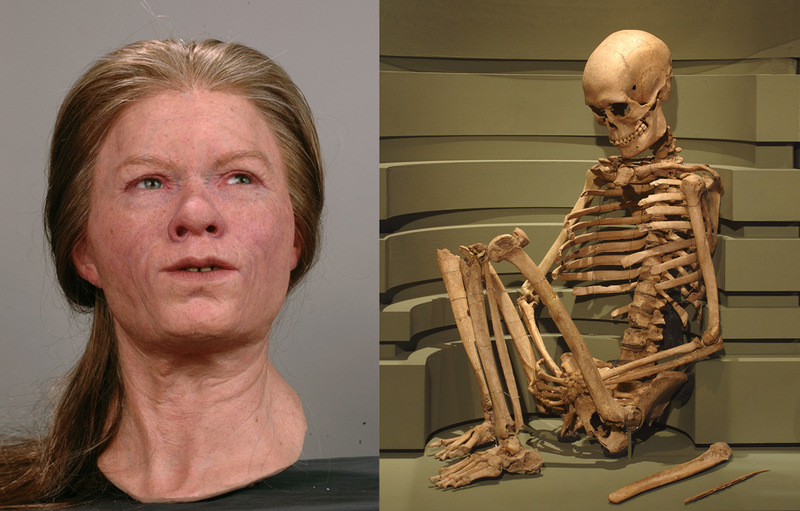 This woman lived in the 3rd century, contemporary with a man also buried in Skåne, in Öremölla. Both of them belonged to a privileged social class influenced by the technology, art and fashion of the Roman Empire. Roman influences extended well beyond the confines of the Empire itself, all the way up to Scandinavia. The Öremölla man had adopted a Roman lifestyle. He was buried with a complete Roman drinking set of bronze, comprising serving vessels, a ladle and wine strainers. The two drinking glasses in the service are of superb quality and were probably made by an Egyptian or Syrian glassblower. Figurative art now superseded the more abstract decoration of preceding ages, showing an abundance of fabulous beasts, not all of them readily understandable. Look at the magnificent relief brooches which adorned women’s costumes in the 5th and 6th centuries and were found in Jämtland, Hälsingland and Uppland. 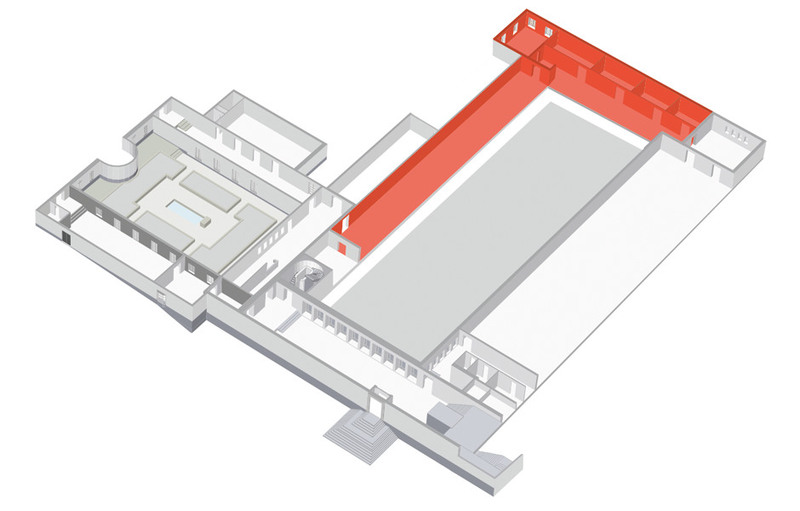 The hall was the principal room of dwelling houses, rather like our present-day living room, and it became an especially important social venue from the 5th century onwards. There you could flaunt your opulence and social standing and give generous banquets. Food was important. Large iron cauldrons were suspended on stout chains over the great hearth. One such pot is shown here, with iron forks and an exclusive bronze plate beside it. Kitchen equipment like this could accompany the upper class in death, for use in the life hereafter. At these banquets, people played board games and musicians entertained them on the lyre. This was the kind of milieu frequented by an aristocrat from Uppland, whose weapons and ornamental helmet were masterpieces made by skilled craftsmen. A similar life was led by an upper-class woman from Öland. Her grave gifts included a large bead necklace. Those artefacts are now fragments only, the dead woman having been cremated on a funeral pyre. Both these people lived in the 8th century, and finds from their burials are on display here. The hall was also a setting for religious rites and the telling of myths and sagas. You can see small, partly gilded male fertility f igurines, and miniature gold foils of couples kissing, unearthed in Södermanland and Uppland. Perhaps the kissing gold foil figures represent Frey, the god of love, and the giantess Gerd, both of them figures of Old Norse mythology. The second part of Prehistories takes you on a journey in time and space. At the centre is a long transit hall, from which you are lured into journeys through different exits. In the rooms you come to, you will be asked thematic questions about who you are, whither you are bound, how big your world is and who controls it. Artefacts from various periods and places are discussed, and there will be some questions which only you know the answers to. You will find the questions about who you are and where you come from in the transit hall, at separate ends. Depictions of human figures, plus amalgamations of man and beast, give us an insight into the way prehistoric people saw themselves and their relation to the gods and animal life. Look, for example, at the early figurines which were found in Skåne and Västergötland and are taken to represent priestesses or goddesses. They can be dated to between the 8th and 6th centuries BC. The two small behatted men of bronze from Skåne are older still, dated to the 14th century BC. The bird mask with human features, from Halland, is hollow and was probably fitted to a processional wand. 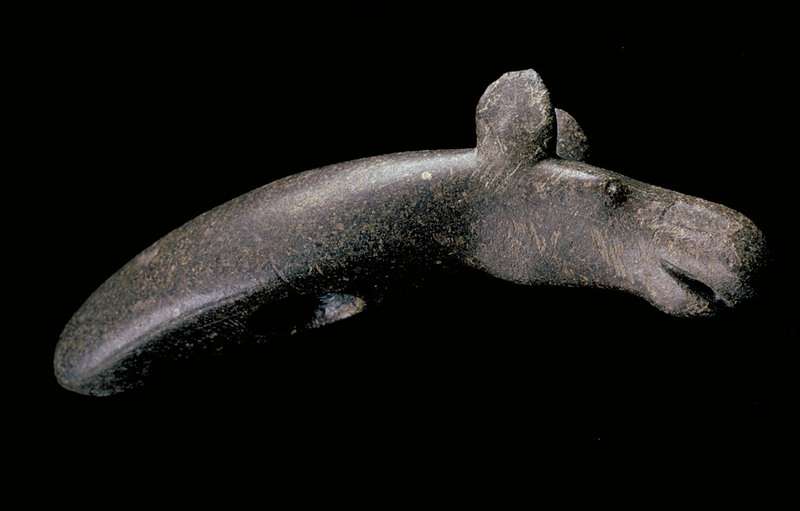 The ceremonial axe shaped like an elk head, from Uppland, may have served the same purpose. This is an artistic masterpiece, made some time between 4000 and 1800 BC. Underneath it has a tapered hole, showing that it came with a shaft. This axe probably came here from present-day Finland or Russia. In one of the thematic exits you will be asked, “Who do you live with?” This trip raises different perspectives on family norms, e.g. objects signalling different gender or social roles, such as costume details and weaponry. There are exhibits distinguishing between men and women, but also “unisex” ornaments in the form of brooches and pins. Children and the view taken of them are an elusive topic in prehistory. Look at the small exhibits which were presumably made for children. Often they are miniature versions of implements and jewellery to be found in the adult world. Our whole story is shot through with contacts, interchange and travel. Travel in itself can be perceived as an existential motive force operating, not only in life but also to the underworld, the realm of the dead, as illustrated on the picture stones of Gotland, one of which is on the wall in the long transit hall. In the centre of the hall you have status-enhancing objects from voyages and contacts, such as a Roman vase with a temple inscription dedicated to the sun god Apollo Grannus. It was found in Västmanland. An accumulated fortune which was hidden in the ground during the 6th century BC, at Glanshammar in Närke, testifies to contacts with Greece, Italy and Austria. This exhibition also features a scimitar from Östergötland, the shape of which imitates swords from Asia Minor and the Danube basin. Eastward contacts are visible in the finds from Överkalix in Norrbotten, where a group of people lived sometime between the 5th and 3rd millennia BC, namely storage vessels (known as comb ware) and types of flint occurring in Finland and Russia and as far away as the Urals. We have another kind of travel in the colonists who looked for new lands to live on as the ice cap retreated during our very earliest history. You can see 14,000-year-old implements left by the earliest migrants in present-day Skåne, Dalarna, Hälsingland, Härjedalen, Lappland and Södermanland. Two exits lead to rooms on the subject of power and beliefs. Religion and sacrifice played an important part in people’s thoughts and actions. Splendid daggers of finely worked flint were one way of manifesting one’s status and power, before they were sacrificed to the gods in the 3rd millennium BC. They are so skilfully carved that the flint blades are semi-transparent when held up to the light. These daggers were modelled on bronze ones in Central Europe. One of the loveliest here is from Skatelöv in Småland. A few centuries later, bronze and gold became the main metals for votive use. 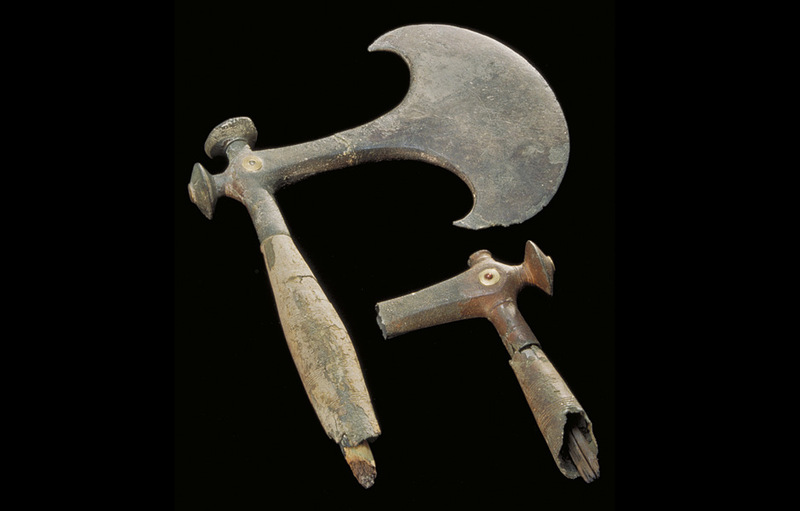 Two ceremonial axes from Södermanland were used in religious rituals. They could not possibly have served any practical purpose, consisting as they do of a clay core with a thin bronze overlay. tubes for a woollen skirt together with jewellery. Other, more warlike offerings are also on display. These are known as war booty sacrifices. From the 1st century AD, a tradition developed in many regions of depositing large quantities of broken weapons and military equipment in wetlands. Presumably this was the property of a defeated enemy, sacrificed to the gods after the weapons had been broken up and rendered unserviceable. One such sacrificial find, from Öland, can be seen in the exhibition. That votive ritual also featured bones of humans and animals. People’s world pictures in different periods were sometimes manifested in their artefacts and also pictorially. There are thousands of rock carvings at Nämforsen, the mightiest waterfall in Ångermanland. These are taken to be communications with the world of spirits, and the oldest of them were carved no less than 6,000 years ago. The surroundings of the waterfall show traces of settlement. These are also on show here. here. It was divided into two sections. Perhaps different clans with different lifestyles converged here. 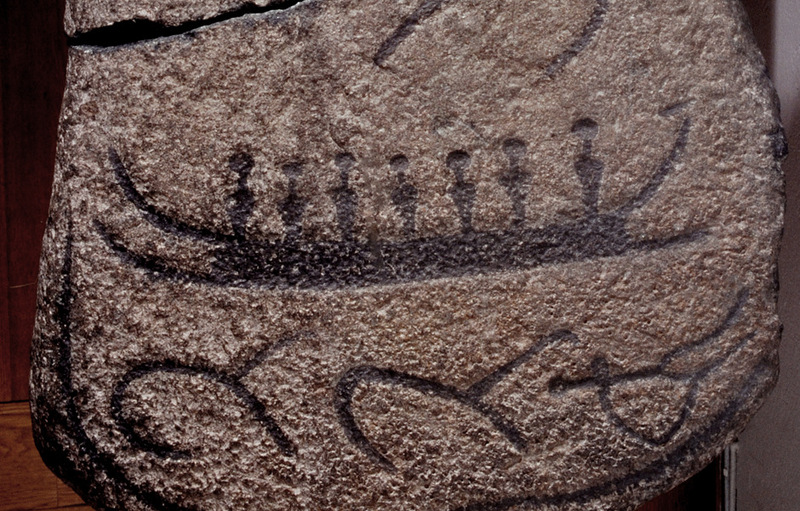 ceremonially in Skåne 3,500 years ago. The last exit takes you down to the 19th and 20th centuries. Here questions are asked about which people make history, which people interpret it and the purposes it can be applied to. Read about trendsetting 19th century archaeologists like Christian Jürgensen Thomsen, Sven Nilsson and Oscar Montelius. These men defined different periods, categories and regions in schemes which, on the whole, archaeologists are still using to sort and date artefacts. But views concerning the choice of objects worth saving for posterity have changed several times, and this is an ongoing topic of discussion. Some objects have been used to legitimize political statements, like the iron and bronze helmet from Uppland (on display in the Gold Room). It formed part of National Romantic mythologising about a unified kingdom of the Svea during the 19th century. Classification of prehistoric human remains was another topic that occupied scholars with a race-biological view.